Note that we also pickup people from Pretoria. The Pilanesberg Safari is a early departure from your address. 07h00. You will be picked up by your driver guide in a min bus and transferred to Pilanesberg where you will enter the park. You will drive towards Hartebeespoort dam and enjoy the beautiful country side and mountains, Pass Hartebeespoort dam and on our way we stop at the Dam Wall, where we can take photos of the beautiful scenery. We continue our journey to Pilanesberg and duration is one hour. End of a wonderful and exciting day out in nature. 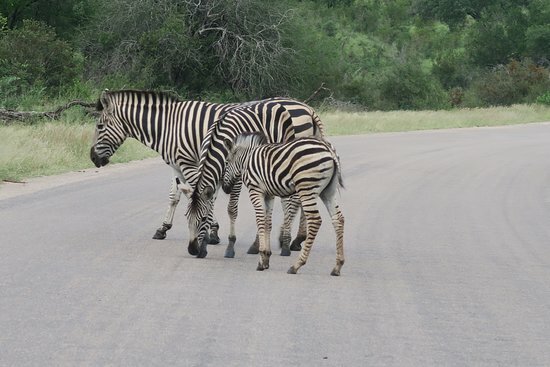 Full Day Pilanesberg Safari R1300.00 per person 2 - 3 Persons / R1100.00 per person 4-7 people. Entrance fees to the park included. Lunch for own account. 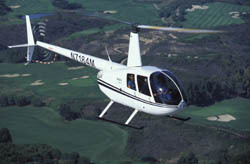 You can do the Pilanesberg Safari in the morning and after lunch depart to Sun City. 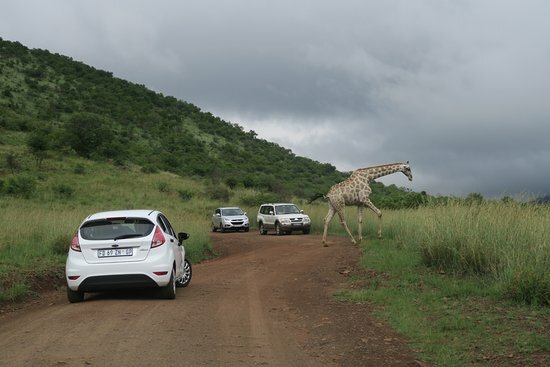 The cost for the Pilanesberg Safari and Sun City R1470.00 per person. 2 - 3 persons. / 4 -7 Persons R1370.00 . lunch for own account. 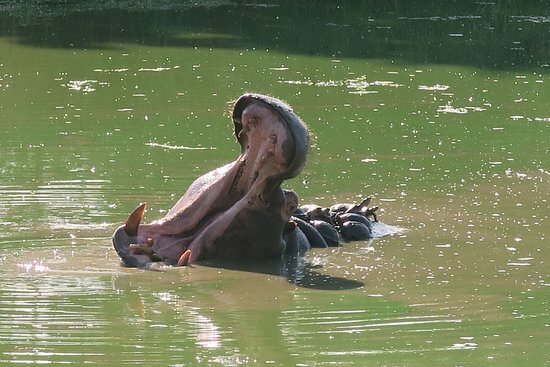 Departs at 10h30 from Johannesburg/Sandton/Pretoria/O.R Tambo Airport (your guesthouse/hotel ) You will be picked up by your driver/guide in a mini bus and transferred to a bush lodge where you will have lunch and at 16h30 you join the open top vehicle safari . Duration of the safari trip to Pilanesberg is 2½-3 hours drive, including our stop at the flea market. We drive through a scenic route and stop halfway for refreshments as well as a flea market where you can buy traditional African souvenirs. Time spend here is approximately 30 minutes. Then we continue our one hour trip to Pilanesberg Game Reserve We arrive for a buffet lunch at the luxury Kwa Maritane Bush lodge or Bakubung Bush Lodge. 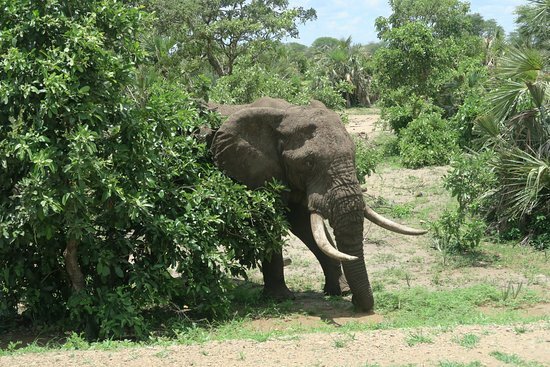 The restaurant overlook a waterhole where you can spot some animals, drinking water. The Sunset safari starts at 16h00 from the reception at Manyane bush lodge, Kwa Maritane Bush lodge or Bakubung Bush lodge with an open top safari vehicle for your sunset safari in Pilanesberg Game Reserve. The safari is conducted with an armed ranger. The lions/leopards/cheetahs starting to move around at sunset and there is a good chance to spot them. Duration of the safari is 3 hours. Take a warm jacket with as well as your camera. Arrive at Johannesburg/Sandton/O.R Tambo airport at 22h00. Please feel free to contact us if you are interested in this package or if you would like us to tailor make a package for you. Your driver/guide will collect you at 06h00 from your hotel in Johannesburg/Sandton/Pretoria. Duration of drive is approximately two and a half hours from Johannesburg. We stop halfway for a restroom and coffee. We depart from Sun City to Johannesburg at 16h00 and arrive in Johannesburg at 18h30. Early departure from your hotel/guesthouse in Johannesburg/Pretoria.(06h00). Then we stop half way for a coffee or bathroom at a filling station. Then we depart to Pilanesberg Game reserve and enter Pilanesberg and Join the open top vehicle safari . We will do the safari in the game reserve till lunch time where we will go to a restaurant at one of the bush lodges inside the park. After lunch we depart again for our safari in the park with our close mini van. We will depart from Pilanesberg at 16h00 to Johannesburg and arrive at your hotel in Johannesburg by 18h30. The morning safari and sunset safari in Pilanesberg starts early in the morning 06h30 and leave from Johannesburg. 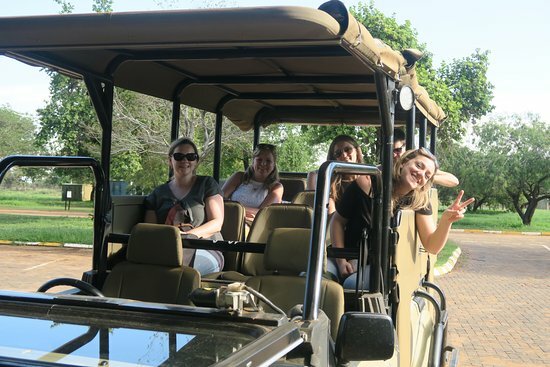 You will be collected with a mini van and drive to a bush lodge in Pilanesberg game reserve and join the open top vehicle safari .